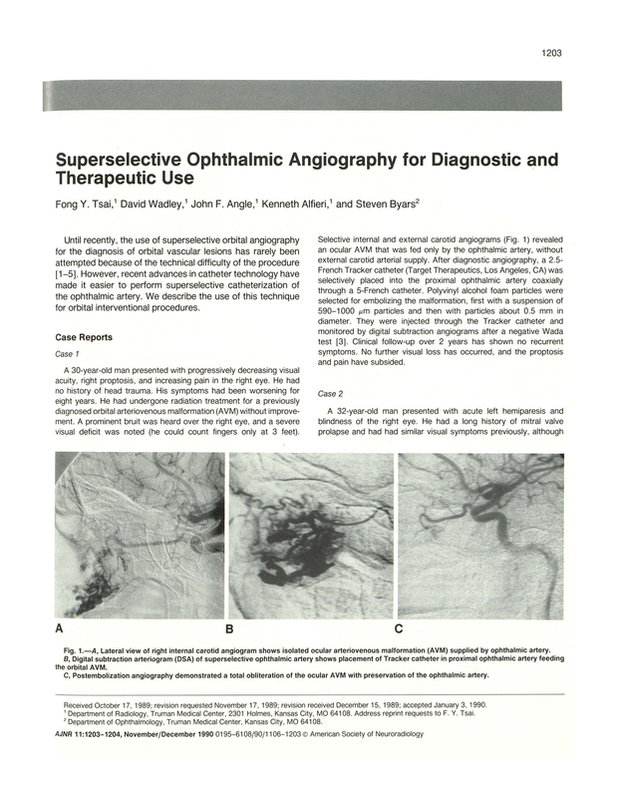 Superselective ophthalmic angiography for diagnostic and therapeutic use. Department of Radiology, Truman Medical Center, Kansas City, MO 64108. You are going to email the following Superselective ophthalmic angiography for diagnostic and therapeutic use.